*Read before the New York Academy of Medicine, February 18, 1875. Reprinted from the transactions. Utica : State Lunatic Asylum, 1875-76. Description : vol. xxxii., April, 1876 ; pp. 488-501, [1 l.] ; ill., 1 plate, 23 cm. Photograph : mounted albumen of specimen. Alternate spelling of name : John Purdue Gray. Gray edited The American Journal of Insanity from 1854-86. Gray was director of the Utica State Asylum from 1854 until his death. Photo size : 72mm x 91mm. This case presents considerations for the physiologist and phrenologist, some of whom may jump to the conclusion, that men, in this fast age, do not require such cumbrous bony structures, filled with so much chaff called brains, as many of us carry on our shoulders. — H. Seaman, page 500. Gray reports three cases of massive head injury involving the putative regrowth of the brain. The first case involves a boy three years old who struck his head against a stove, fracturing the anterior right parietal bone from which a one inch diameter piece was driven into the brain. Twelve days later the child was paralysed in the left arm and the attending physician, Dr. Edwin Hutchinson, removed a spicula of bone driven two inches into the brain. The following month a series of growths appeared over the site of the injury and were alternately tied off and removed. On the fifty-eighth day Gray describes a protruding mass which over the following ten days took on the convolute structure of brain tissue. This mass was gently pressured back into the cranium with a cork pad and rubber bands. Three and half months after the injury the child was deaf but otherwise completely healed. The second case involves a soldier who was forty-one when he was wounded during the battle of Antietam in 1862. The ball crushed the right parietal bone leaving an opening three by one and a half inches, but surgery was successful and he recovered fully. Six years later his health failed and he became increasingly despondent and incapacitated in his work as a brass turner. 1871 was his first admission to Utica Asylum for melancholia, headache and mental confusion. Died 1873. Postmortem showed no degradation from the gunshot wound other than the absence of bone and from this evidence Gray inferred a complete regeneration of the cerebrum and its superincumbent tissue. Cause of illness is not given, but judging from the autopsic findings the patient died from a long standing pyogenic meningitis, probably not syphilitic because there is no mention of ataxia, only a slow wasting of health until death. The third case, and the most remarkable, involves the shipmate of a coal barge whose right cranium was sheared off by the suspension rod of a bridge. 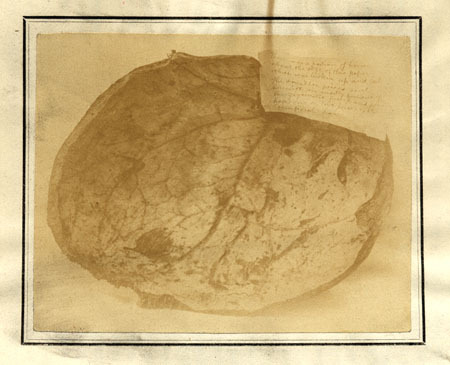 Almost a full half of the skull was destroyed and the piece portrayed in the albumen photo measured just shy of six by seven inches. The first attending physician was the subject's brother-in-law, Dr. H. Seaman, who contributed the bone to the Buffalo College Museum and who also wrote that no brain matter was lost because of the injury nor did the patient suffer any neurological impairment except for an occasional sensation of "fullness in the head." Three months after recovery, the patient married and subsequently fathered five children. Hand-written inscription — There was a portion of bone about the size of this paper which was broken up and lost. The smaller pieces sent herewith are mostly portions of the zygomatic process and perhaps one or two pieces of the temporal bone.